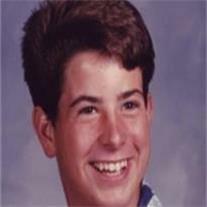 Brian Lee Green, 36 passed away June 11, 2009 in Meridian, Mississippi. Visitation will be Friday, June 19, 2009 at 9:00 AM, followed by funeral services at 10:00 AM at the LDS Grove 2nd Ward, 3770 S. Cooper Road in Chandler. Arrangements handled by Bunker’s Garden Chapel.